June 18, 2011, was a historic day for the Brazilian Assemblies of God. 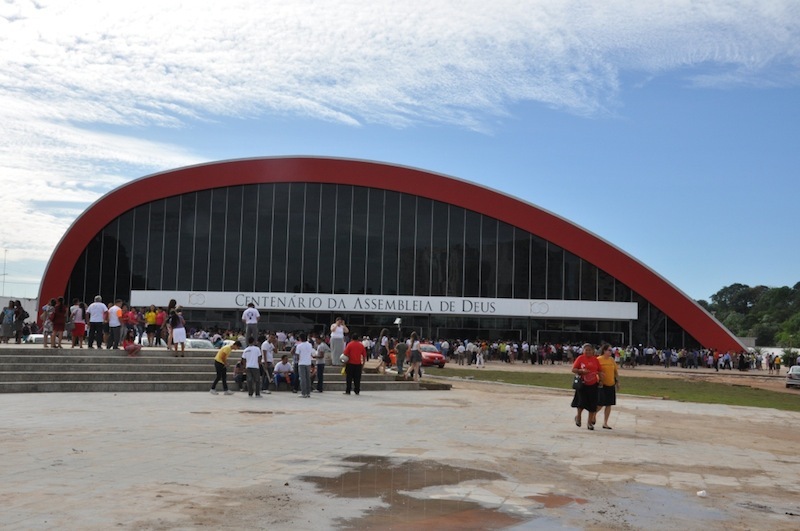 It marked the 100 years of the establishment of the first AG church in the country, located in the city of Belem in the northern state of Pará. In 1909 two Swedish immigrants, Gunnar Vingren and Daniel Berg, who had arrived in the United States several years earlier, met at a revival meeting in Chicago, Illinois. Shortly after Vingren was baptized in the Holy Spirit, God called the two men to leave for Brazil to preach the gospel. Without any missions support the two single men boarded the steamboat Clement in New York City on November 5, 1910. They arrived in Brazil 14 days later, in Belem, a city on the banks of the Amazon estuary. Since Vingren was from a Baptist background he and Berg started attending First Baptist Church in Belem. But, within a few months, the Pentecostal message started stirring hearts in the congregation and the two newly-arrived missionaries were dismissed from the church along with 19 other brothers and sisters. On June 18, 1911, in the home of Celina de Albuquerque (the first Brazilian to be filled with the Holy Spirit), the first Brazilian Assemblies of God church was founded. Without any missionary support Berg, who had been a steel worker in the United States, got a job at the docks in Belem, while Vingren attended to the newly-founded work. The Bible teaches us to never despise the days of humble beginnings. The small seed planted by these two missionaries grew into the largest Pentecostal church in the world with several million members and adherents. Today, the mother church in Belem, as it is referred to by the Brazilians, is pastored by Samuel Camara. His wife, Rebekah, is an AGWM MK who grew up in Brazil. She and Samuel met at the AG Bible school her parents directed. Restoration of the home where Celina de Albuquerque lived and the church was founded. 1.5 million pounds of food given to poverty-stricken people in the greater Belem area. 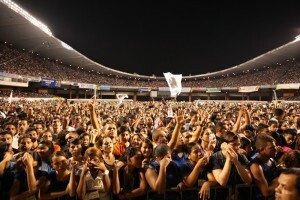 During the three days of celebration thousands of people attended from Brazil and around the world. Among them were José Wellington, general superintendent of the Brazilian AG; Manoel Ferreira, general superintendent of the Madureira AG (a sister A/G fellowship in Brazil ), the Catholic archbishop of Belem, the son and grandson of Gunnar Vingren and more than 20 other descendants of Berg and Vingren, plus many senators, congressmen and thousands of AG pastors. The highlight was the closing service at the Olympic Stadium with 90,000 people present, the largest crowd in the history of the stadium. 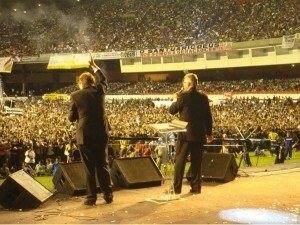 Evangelist Reinhard Bonnke preached the closing rally, interpreted by AGWM missionary Mark Lemos. 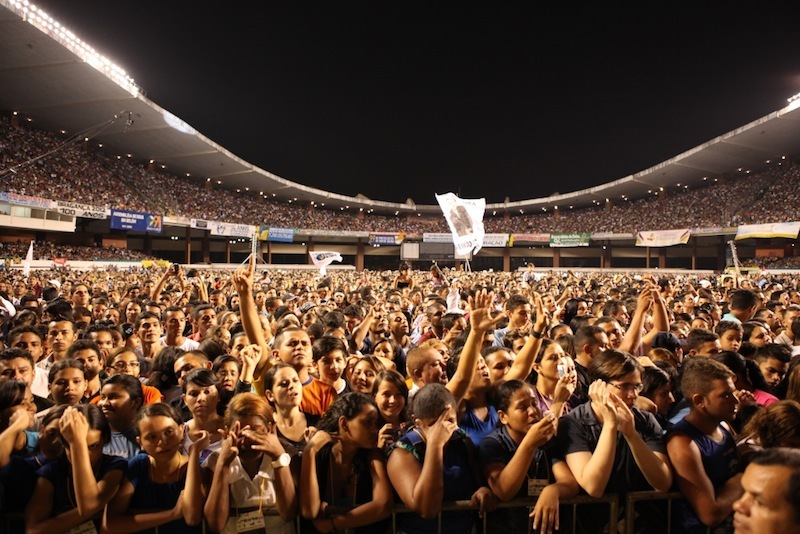 More than 2,000 people accepted Christ. We draw so much encouragement from what the Lord has done in Brazil! I especially admire the legacy of the Lemos family. I pray that the Lord continues to guide Mark at the Bible School and his sisters in ministry! The investment of your lives in Brazil is producing a true harvest, one hundred times over! WOW! I have goose bumps just reading this. How fantastic to see the results of that faithful seed that was planted. Mark keep up the tremendous legacy handed down to you. Makes me proud all over to be an MK and see what God is doing. The harvest is still great and there is more work to do! Congratulations Brazil and Mark! Hey Mark, how important has ministerial training been to the work in Brazil? Thank you for sharing this amazing report. What a blessed century of growth and impact. Should Jesus tarry, may the years to come be just fruitful. God bless you and your family.